This week is reader request week! First we are going to look at Graf von Faber-Castell Electric Pink. I purchased my sample of ink from Anderson Pens. 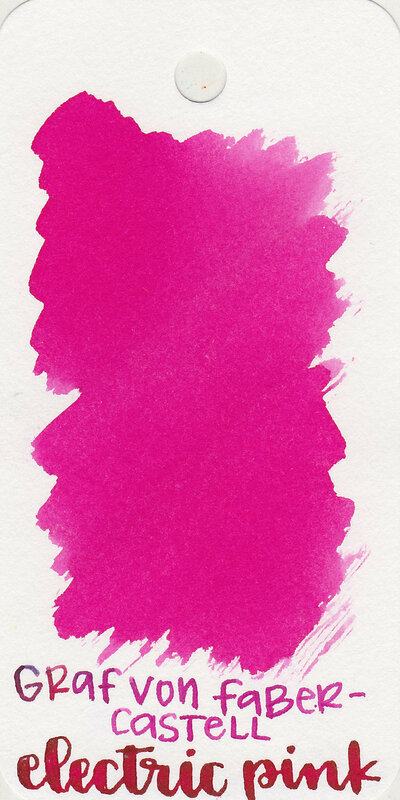 Electric Pink is a bright medium pink. Ink swabs for comparison, left to right (top to bottom for mobile RSS): Akkerman #20 Pulchri Pink, Graf von Faber-Castell Electric Pink and Pilot Iroshizuku Momiji. 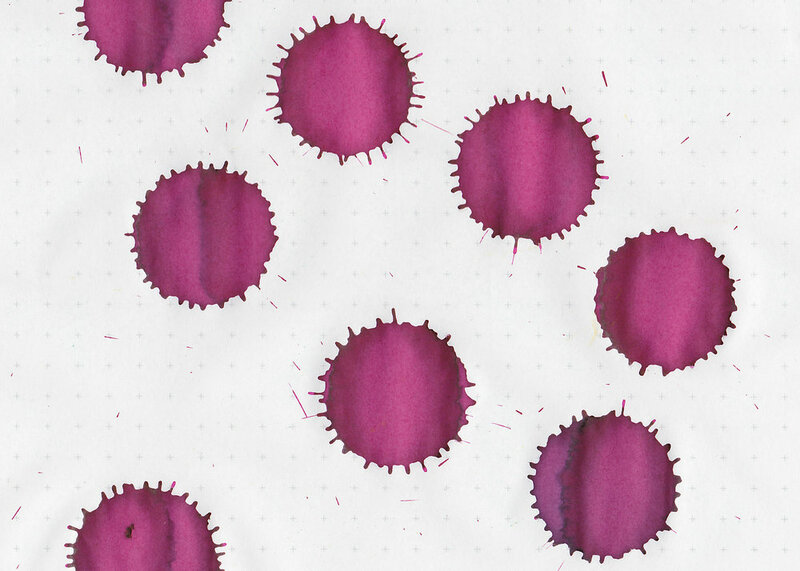 Krishna Myrtle, Diamine Scarlet, and Lamy Vibrant Pink. Click here to see the pink inks together. I used a broad Pilot Vanishing Point Crimson Sunrise on Tomoe River paper. The ink had an average flow. There were some hard starts and skipping. Overall, I like the color and the shading. I did have some issues with skipping and hard starts but other than that it's well behaved. Give it a try, you might love it.